Emerging indie/pop artist Hadar Baron releases her debut EP – GOLD on May 26, 2017. Israeli born and New Jersey-based singer/songwriter Hadar Baron has taken a big leap in her music career. From her first time on stage in third grade, Hadar has been writing songs and performing nonstop. Over ten years later with stage musicals and local town performances, Hadar is excited to release her first EP to the world. In time with launching her music career, the singer/songwriter also juggles school as a music major at Ramapo College of New Jersey where she studies music industry. With a balanced blend of indie, pop, and acoustic alternative, Hadar’s music has a home from every ear. Influenced by the quote “Turn Your Heartaches into Gold”, the debut EP – GOLD is a result of a therapeutic process that allows Hadar to be vulnerable and truthful to both herself and her audience. 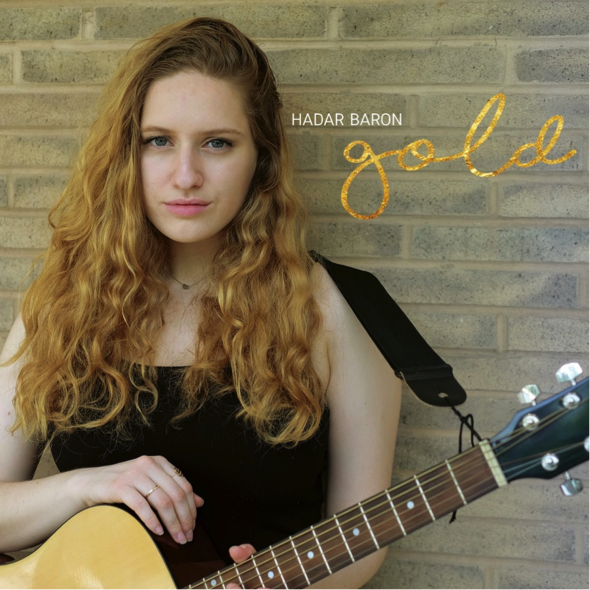 Hadar Baron’s debut EP – GOLD is currently available on Bandcamp and Soundcloud. Stay tuned for her release on Spotify, Pandora, and other streaming services.